All photos by Colleen Newvine Tebeau. Pudding shots are one of my secret weapons. They’re not only tasty but they almost guarantee a smile or giggle. Pudding and liquor? Why hadn’t I seen this before? It’s not a new concept, since the New York Times published an apparently wildly popular boozy mousse pie recipe in 1970, but I’d never seen single-serving cups like Jell-O shots. 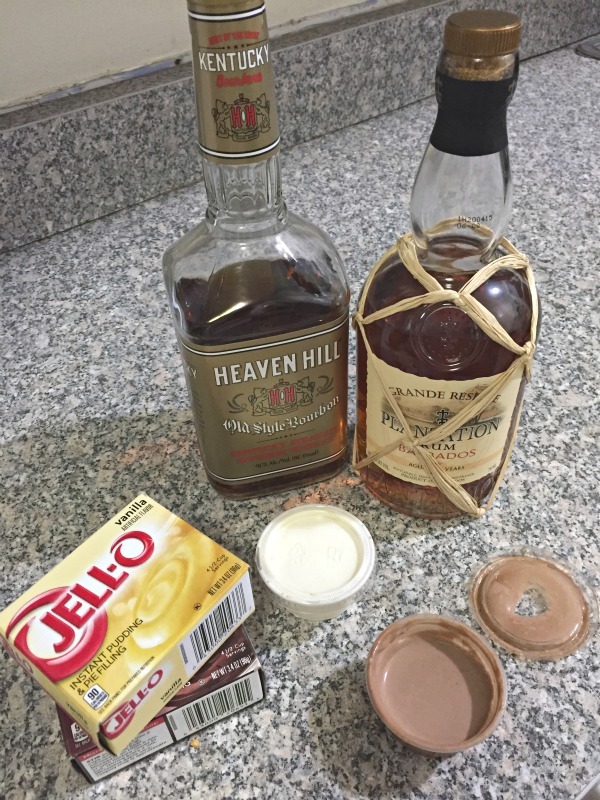 I guess I was behind the times, since an Instagram account presents recipes for pudding shots, there are Pinterest boards pudding shots … I had some catching up to do. Pudding shots became my go-to dish to pass for Mardi Gras parties. Celebrity bartender Chris Hannah skeptically sampled my vanilla pudding with king cake vodka, theoretically flavored like the Mardi Gras baked good and in the same category as cotton candy vodka or Swedish fish vodka. As he scrapped his pudding shot cup clean, Hannah declared it the only legitimate use of king cake vodka. Then I brought my knowledge back to Brooklyn, often making two different flavors for dessert at our monthly spaghetti dinners. I don’t think I’ve ever seen a cup left with even a smidgeon of pudding left. Several friends have shyly asked if they could have a second, or third. While Jell-O shots seem to me to be about the novelty and kitsch, pudding shots actually taste delicious. Pudding’s flavor and texture lends itself to so many combinations. I’ve gone simple with chocolate pudding with bourbon and more elaborate with banana pudding with coconut cream, crushed pineapple and rum. 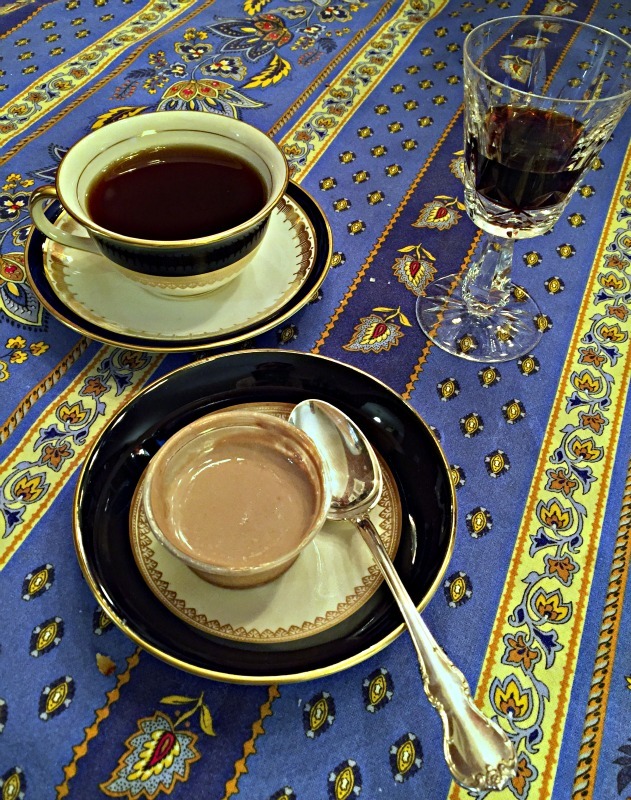 I’ve made chocolate pudding with coffee liqueur, butterscotch pudding with butterscotch schnapps and cinnamon whiskey … If you think you’d order flavors together in a bar, or at an ice cream parlor, you’ll probably like them in a pudding shot. A friend in New Orleans recently shared a link for salted caramel pumpkin pudding shots to my Facebook profile. That sounds like the perfect thing to take to our friends’ classy Thanksgiving dinner. I’ll bet you a second serving of stuffing they make everyone smile. Blend one small box of instant pudding (3.3 - 3.9 ounces) with ¾ cup milk until pudding firms up –some people do it in a bowl with an electric mixer but I sprayed milk and pudding powder everywhere when I tried that, so I do it in the blender to minimize mess and thoroughly scrape the sides and bottom with a spatula. Pour into 2 ounce plastic cups with lids and put them in the freezer to set, at least a few hours, better overnight. Depending on how far I fill each cup, I generally get 18-21 shots per recipe. This approach is decidedly prefab and lowbrow, employing instant pudding and commercial whipped topping – I think my next step is trying homemade mousse and real whipped cream. If it’s good enough for Craig Claiborne, that’s good enough for me. USA Trade Tasting Registration is Open!